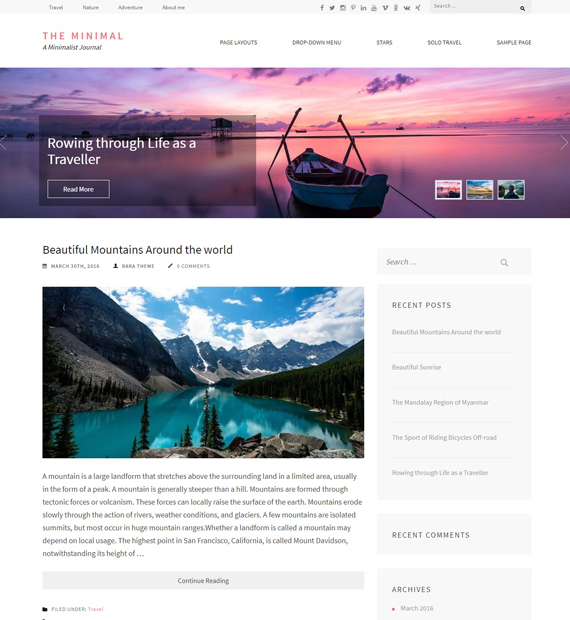 The Minimal is clean, minimal WordPress theme for people who like minimalist design to write about food, fashion, travel, clothing, movies, or their lifestyle in general. Its minimalistic look and striking typography makes The Minimal an attractive theme for aspiring writers who want to engage their users on their stories. This free theme comes with full-width page option, two menus, SEO and mobile friendly structure, and seamless social media integration.